As a publisher, sometimes I forget the things I felt the first I saw Peter Kagayi perform or the first time I read his work. Sometimes. It is very easy to get caught up in balancing monies, deliveries, page views and forget the magic of why I started in the first place. Thankfully, I get little and big reminders every so often. 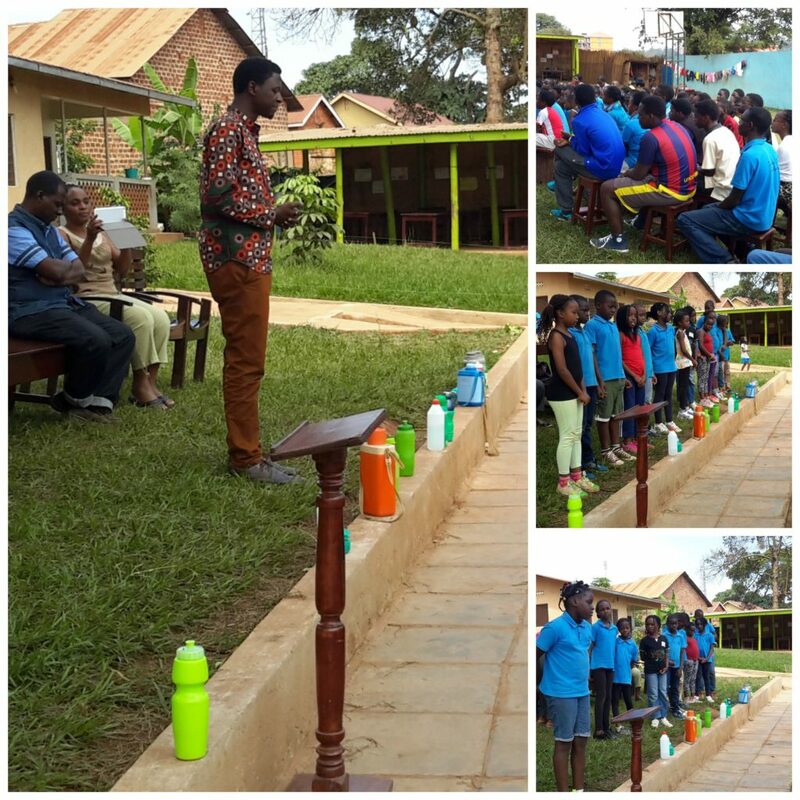 On June 24th, we (Peter Kagayi and Sooo Many Stories) were invited to Bethel Christian Academy. They were closing their book week and having concentrated on Poetry this year, it seemed perfect that Kagayi joins them. We went there to also talk to them about the value of reading, storytelling and what publishing means. We met children as young as five years old all the way to 19. 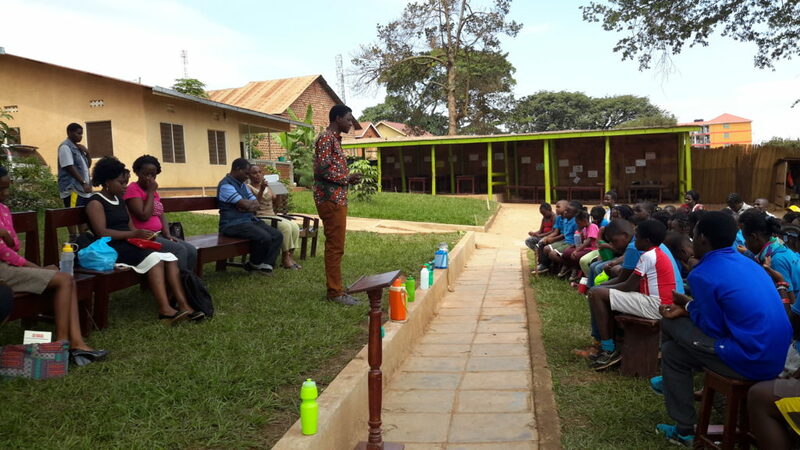 Now, I have seen Kagayi perform but I had never seen him infront of children or even in his capacity as a teacher. He more than often talks about “my students” but I had never really seen him as a teacher. And then he performed The Sunshine Kid by Harry Bake and you know what? I am a believer! The best thing for me about watching Kagayi perform is his conviction; the way he so firmly holds your heart and pumps faith into it about any and every topic he chooses. And I wasn’t the only one. By the time he was done teachers and children were on their feet. We gave the students some time to also present to us some of the poems they had worked on that week as individuals and as groups. Their enthusiasm to share was everything. I hope they never lose that. But perhaps what I enjoyed the most were the type of questions they asked, that showed that they not only followed what we were talking about they were also interested. I wrote them down. When you write poetry all have to rhyme? How long does it to publish a book? How long doesn’t take you to write your poems? Are books with illustrations also edited? What’s your favourite type of poetry? In your book, is there an underlying theme? What is the meaning of a sonnet? What form of meter do you usually use in your poetry? What poet inspires you the most? Have some of your poems gone around the world? When you say “feet” in poetry, what do you mean? Is there any type of work that Sooo Many Stories will NOT publish? How long does it take to get a book ready for publishing? This was such a great reminder for me: that there is a place for what we are doing and there are people hungry for this knowledge. What an honour it is for me to experience this first hand and to have a hand in it! 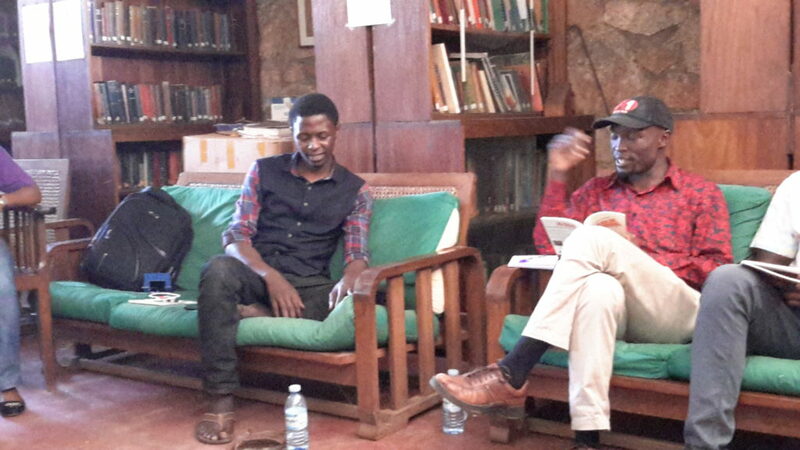 On June 26th, we gathered again as a group at the Uganda Museum for the first in-depth discussion on the The Headline That Morning and Other Poems. 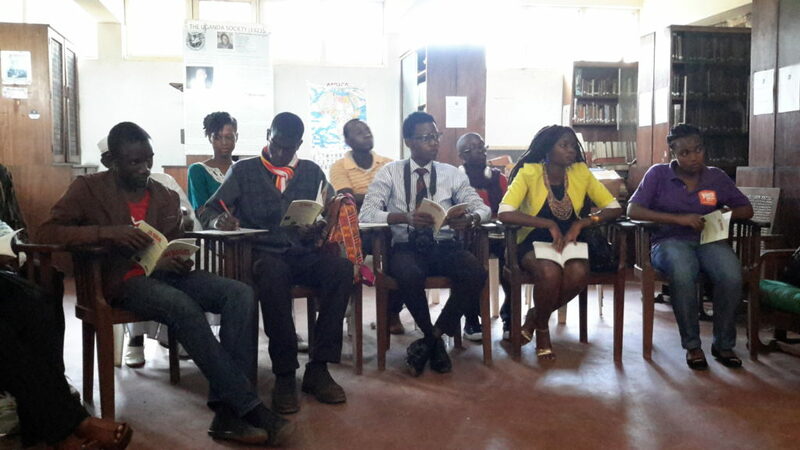 Organised by Writivism and moderated by Kyomuhendo Ateenyi, readers picked their favourite poems from the book, shared what the poems meant to them and Kagayi then had a chance to explain what those particular poems meant to him. Crowd favourites included Tonight I Dance With The Devil, A Family Portrait, Poetry Night, In 2065 and When I Wake Up Mr Tomorrow. Among the topics discussed were the author’s apparent internal turmoil when he wrote certain poems (was that intended to be a suicide note? ), the role of men and women in society and how they have been abused, patriarchy and how it damages generation after generation, and the country we would rather not belong to. There was also a debate on whether poetry has now been turned into an elitist affair by the poets and the people who consume poetry. Next The Headline That Morning and other Poems was discussed when Peter Kagayi was hosted as Femrite’s poet of the month for their readers/writers’ club. If you missed out on any of these discussions, join us for another stage performance on July 19 at the National Theatre at Ugx5,000 and on July 22 for an in-depth look at the poems that were performed on the CD. For the rest of the photos from all these events, follow us on Facebook and on Instagram.